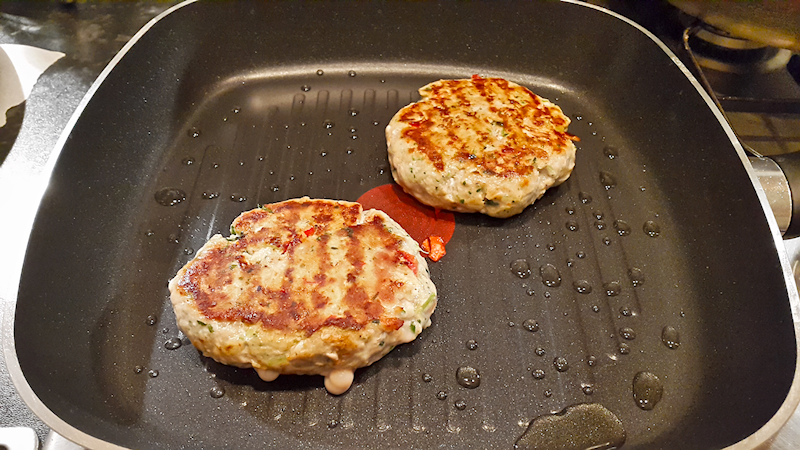 A fast and easy recipe for mouth-watering fresh tuna burgers. 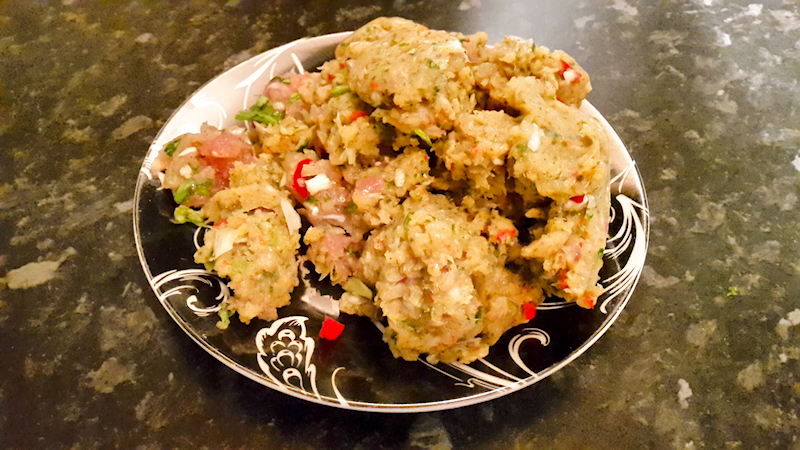 Done in 20 minutes, best served with home made Tartare sauce. Burgers are the Alpha and the Omega of comfort food in the western parts of the world. Honestly, when you are starving, isn’t a juicy burger the first thing that comes to your mind? When I first went to the US, I was amazed with the popularity of burgers there. I am not only talking about the fast-food chains, but the ones you can find in posh and expensive restaurants. And the size? Oh, they are huge! Beef is the most popular choice for burgers and tastes so good together with some cheese, salad and bread. I don’t have to convince you about that. 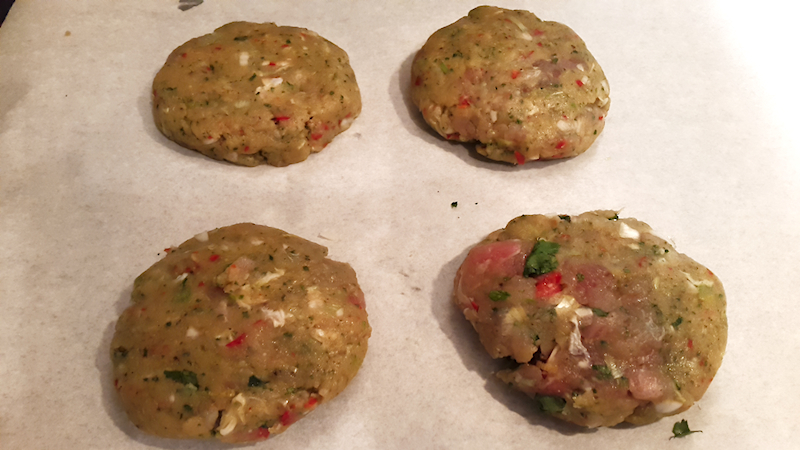 What I will try to convince you is to try and make some home made fresh tuna burgers as an alternative and lighter version of the traditional beef burgers. You will be surprised! 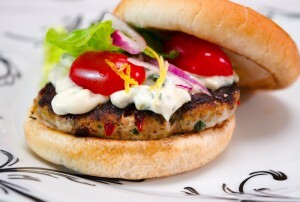 First, the fresh tuna burgers do not taste like fish! So, if you are repelled by the fish idea, please don’t! 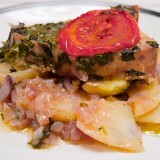 Tuna steaks are very meaty and you almost have the impression you are eating a red-meat steak (like pork or something). You could use tuna from a tin can but I would not recommend that. Stay away from all the preservatives and prepare for you and your family a tasty, fast and healthy meal. 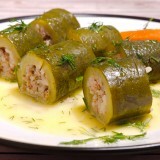 Tartare sauce is famous as a great accompaniment for fish and works great here. If you or your family doesn’t like the idea of pickled vegetables, you can simply use some mayonnaise on top of your burgers. 3 fresh tuna steaks, ~ 400 gr (14 oz). 200 ml (~ 1 cup) of mayonnaise. ~ 15 pickled gherkins (cornichons) chopped into small pieces. 2 tablespoons pickled capers chopped. A small bunch of tarragon, finely chopped. 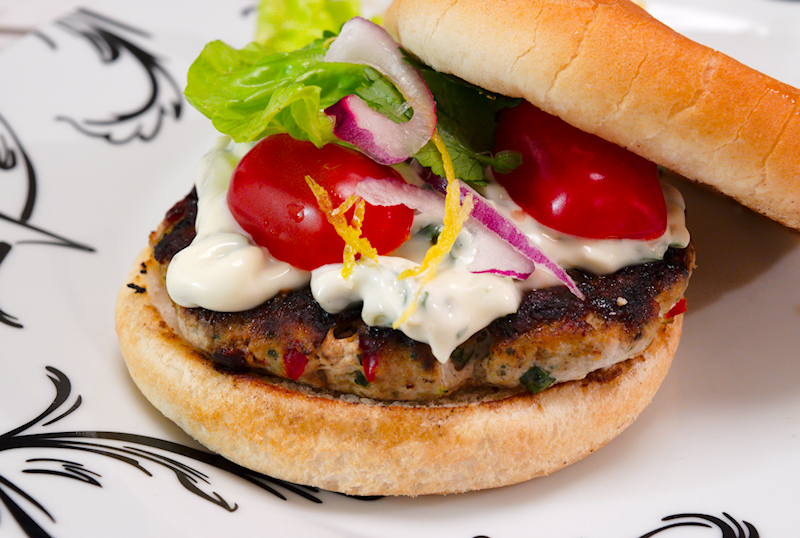 Add all of the ingredients for the burgers in a blender and create a smooth paste. Divide the paste into 4-5 pieces and create the burgers. They should be relatively flat so they can be cooked enough inside. Add a bit of extra-virgin olive oil in a frying pan (or griddle pan) on medium heat. Cook the burgers for ~ 2 minutes each side. 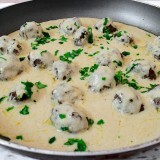 For the Tartare sauce, add all of the ingredients in a bowl and mix well. 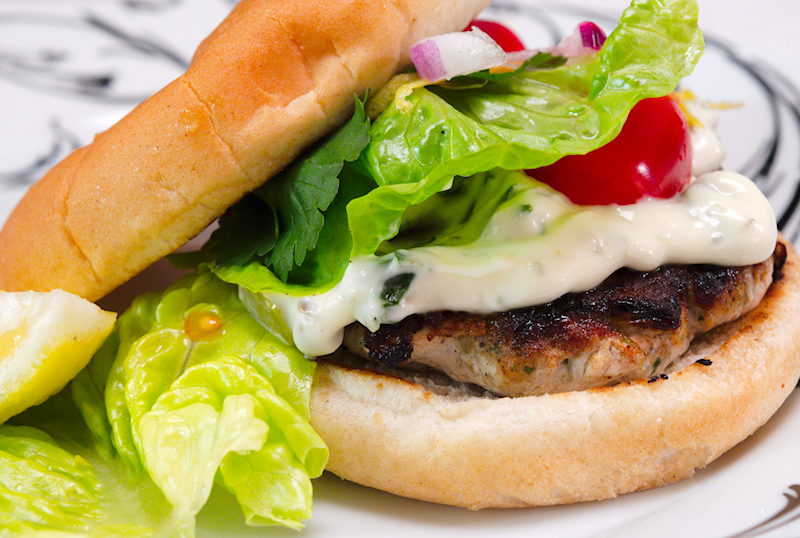 Serve the burgers hot with the Tartare sauce and salad.